feel it. live it. love it. The SMU Heartbeat. Take a good look, take a good listen, take a good feel. Dancers in a melange of colours, their graceful movements. The drummer’s heart and drum beating powerfully as one. The feel of energy in the air as each artiste executes his or her movement passionately executes the performance in clockwork precision. We’re there at every event, injecting life with vivacious performances. We’re there supporting our fellow brothers and sisters, giving them a platform to be seen and heard. We’re there being a voice by students for students, with different media that entertains yet advocates. We’re there cutting through the deafening silence of monotony, adding our mark with you on the canvas that is SMU life. We’re SMU vibrancy. We’re the SMU heartbeat. We are the Arts and Cultural Fraternity. SMU Ardiente is a Latin ballroom dance club. Since 2008, it has made waves across campus with the contagious rhythms of Cha-Cha-Cha and Samba to Rumba, Paso Doble and Jive. A platform to spread the love and passion for Latin dance, the club continues to excel in tertiary and international competitions and showcases. It aspires to impart this art form to the local community. An amalgamation of a performing arts club and a cultural club, SMU’s Indian Cultural Society (SMU ICS), aims to depict the beautiful culture of India through its variety of art forms, traditional as well as contemporary. Along with cultural appreciation, the club aims to promote integration of students from different cultural backgrounds as well as from different university faculties with a common love for the Indian arts, culture and food. SMU Ballare is a standard ballroom dance club. It performs and competes locally and internationally in five dance genres: Waltz, Quickstep, Foxtrot, Viennese Waltz and Tango. Under the guidance of resident instructor Melvyn Low, the club enables members to hone their standard ballroom dancing skills and foster friendships over a shared interest. SMU Ballare was awarded SMU’s Best Dance CCA in 2012. Established in 2001, SMU Eurhythmix is a hip-hop dance club where students can develop their passion for street dance. 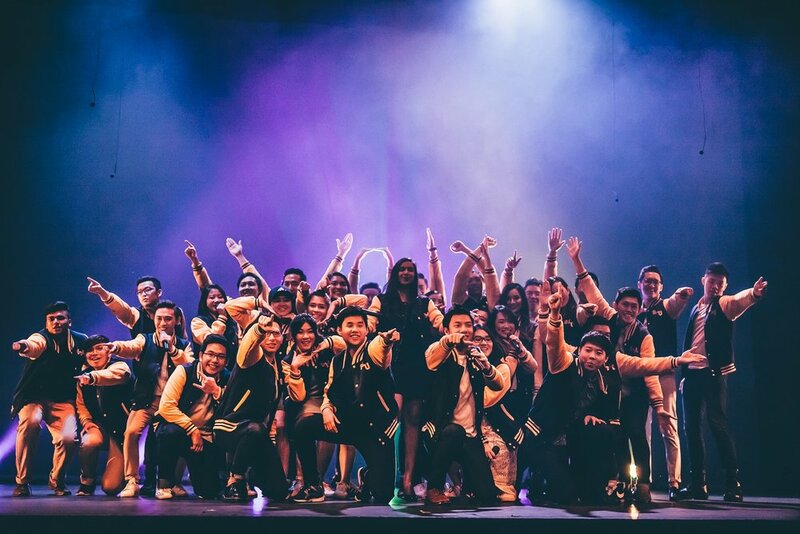 One of Singapore’s premier tertiary hip-hop dance teams, the club has represented SMU in dance productions as well as local and international hip-hop competitions. SMU Voix is a group of performers deeply passionate about singing and performing without the use of any instrument. The members are constantly experimenting with the voice as an uber-versatile sound machine. They have a wide-ranging repertoire, from pop ballads to swing and jazz, to showcase their A Cappella Band and talents. SMU Voix performs regularly on campus and at commercial events, and holds an annual concert to feature new pieces. SMU Literati is the only club on campus dedicated to promoting interest in both spoken and written literary expression. Through its annual poetry recital competition “Lit Jam” and regular gatherings, SMU Literati aims to inculcate greater appreciation for the literary arts amongst the students and the public. Founded in 2004, SMU Caderas Latinas is a salsa performance team. The club is one of the most recognised student performance teams in the local salsa scene. It has performed in Italy, Spain and Germany, and puts up an annual production titled ‘Bailamos’. Its members regularly take part in competitions, including the annual Inter-Tertiary Salsa Competition and the Barcelona Dance Grand Prix, where it was recently crowned champions. SMU Broadcast and Entertainment (SMUBE) was established in 2003 to provide backstage and MC support to live events. It has since expanded to provide high quality broadcast and entertainment services. SMUBE recruits and trains individuals to become outstanding artistes, crew, DJs and designers. It provides ample industry exposure for members to showcase their talents. SMU Artdicted is a visual arts club established 2004. The club celebrates the inclusive nature of art by organising workshops and art jams, providing experiential opportunities for all students to appreciate the beauty of art. SMU Samba Masala is Singapore Management University’s resident percussion group and one of the few Samba percussion groups in the small city of Singapore specializing in Afro-Brazilian music with an ethnic twist featuring the Indian Dhols. Having participated in many local and international performances such as the International Samba Festival in Coburg, SMU Samba Masala hosted Singapore's first Samba festival: Viva O Samba. SMU Chamber Choir is one of the most prestigious arts clubs on campus. It has won many awards including Gold in both the Sacral and Folksong categories at the 7th International Youth Music Festival held in Bratislava in 2015. Bonded through many feats and adventures, the choir prides itself as a family unbroken, with more than 20 returning alumni supporting its latest annual production, “Wrinkles in the Air IX”. SMU INDANCITY is a contemporary dance club for those with the passion for mastery of technique and expression of the art form. 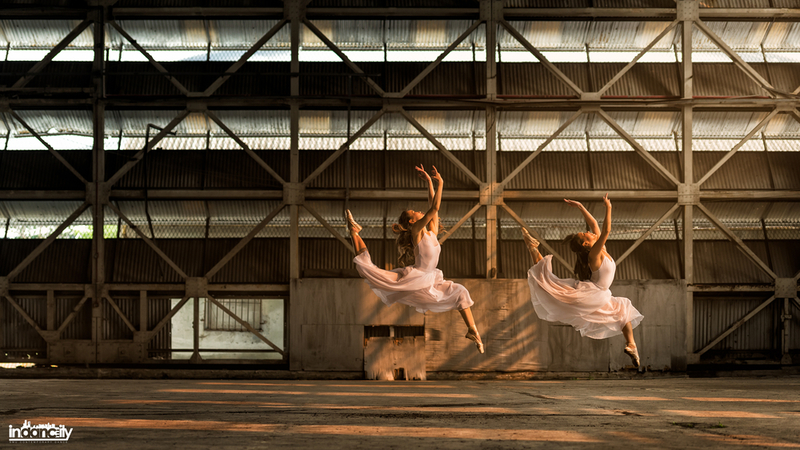 Established in 2006 and led by resident choreographer Dan Kwoh, the club has represented SMU and won numerous accolades at both local and international dance festivals such as the Barcelona Dance Grand Prix. 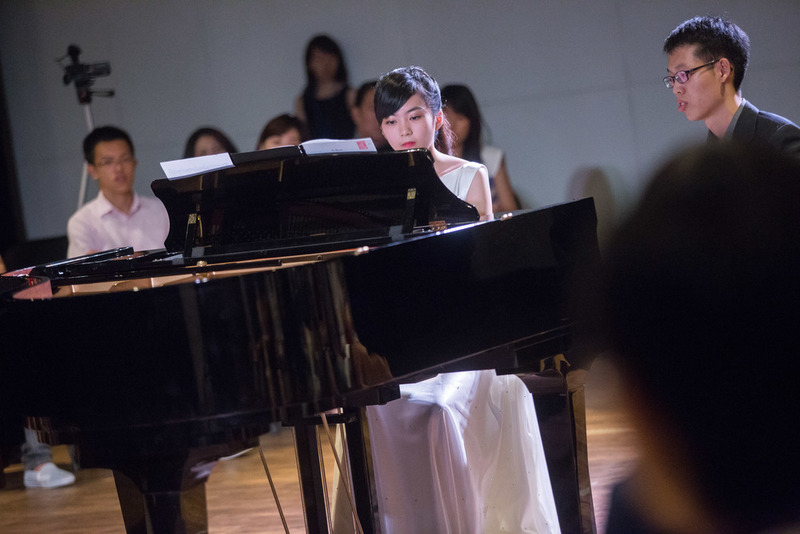 SMU Chinese Orchestra (SMUCO) comprises a group of music enthusiasts who have made it their mission to promote Chinese music appreciation to the public. Under the baton of Quek Ling Kiong, Resident Conductor of the Singapore Chinese Orchestra and Conductor of the Singapore Youth Chinese Orchestra, SMUCO has performed in many events. The club prides itself as a young, vibrant orchestra with a refined taste in various music genres and art forms. SMU Funk Movement is a street-style dance club. Established in 2013, the club believes in grooming dancers that value respect, humility and discipline. Its student members are always ready to demonstrate funk’s signature ‘popping’ and ‘locking’ moves. They are often seen practicing along the school concourse, taking turns to perform a solo freestyle. Founded in 2000, SMU Guitarissimo is a Niibori guitar ensemble. 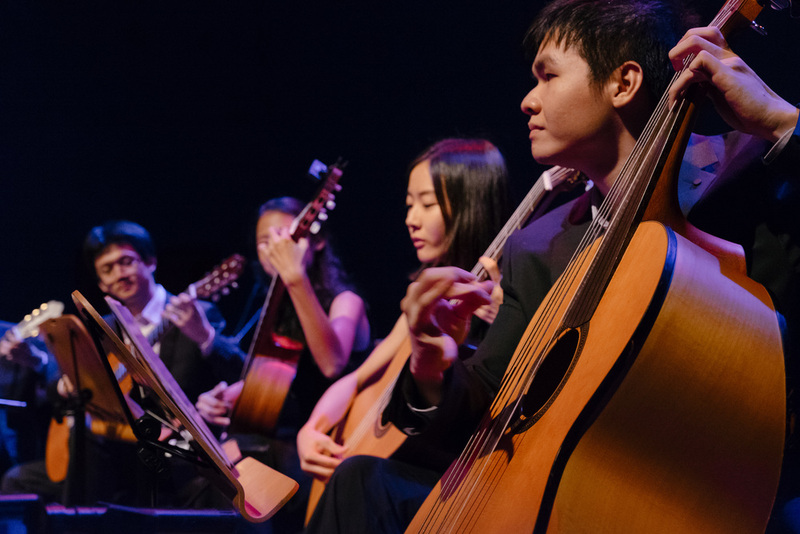 The Italian superlative "-ssimo" is a reflection of the club’s aspiration to be one of Singapore’s premier guitar ensembles. With a repertoire ranging from classical to contemporary music, the ensemble holds regular performances locally and overseas under the baton of resident conductor Ow Leong San. SMU Ivory Keys is the resident piano ensemble. Formed in 2007 by enthusiasts who share a passion for piano music, the club aspires to build a community of pianists who are committed to achieving musical understanding and artistic excellence, and to sharing its music with people from all walks of life. SMU Komunitas Indonesia (SMUKI) has been sharing and promoting Indonesia’s arts and culture with the SMU community since 2004. Each year, it showcases a diversity of dances, songs and music through various campus events, including the annual student-led musical production called Gelar Budaya (GAYA). It welcomes both Indonesians and non-Indonesian student members. SMU Malay Language and Cultural Club actively promotes Malay cultural performances and literary expression on campus. Besides contributing to arts performances, the club encourages its members to participate in community services as part of character development, social integration and charity. SMUSAIC is SMU’s resident photography club that actively promotes photographic literacy and appreciation in a wide variety of events. The club seeks to inspire styles, visions and purpose in photography, whether it is for studio, outdoor, photojournalism or portraitures. SMU StageIT is a student-run theatre production house dedicated to promoting the theatre culture and developing members’ interest and skills in this field. Students are given opportunities to perform on stage and to take up key production roles like directing, writing, stage managing and costume and set design. Stereometa is a premier student DJ collective at the tertiary level. With members who pride themselves as students by day and DJs by night, Stereometa is often seen at party scenes and social events to craft ambience with music. It has also spun at high profile clubs like Zouk, F Club, Millian, Altimate, Suite 26 and others. SMU Symphonia has grown from a small ensemble in 2003 to become a full-fledged wind and string symphony. The band’s rapid development is a tribute to the relentless pursuit of excellence by passionate musicians, both past and present, as well as its core values of music, friends and fun. SMU Symphonia has appeared in local and overseas performances, bringing the joy of music into many local communities. It has a music enrichment programme that includes overseas exchange with wind bands and participation in international band festivals.